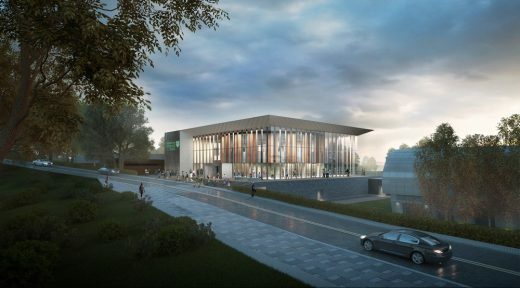 Stirling Council has approved plans drawn up by FaulknerBrowns Architects, for a £20 million transformation of the University of Stirling’s sports facilities. You are invited to join the Stirling Chapter Members and their partners at the 2018 awards dinner. This will be an informal affair held for the first time at Inglewood House restaurant in Alloa. 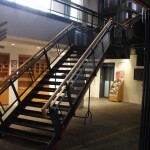 Please note the SSA Website is currently under construction and will hopefully be completed for the summer. Projects must have been completed between 1 April 2015 and 1 April 2018 within the SSA Chapter Area (Stirling, Falkirk and Clackmannanshire), with work under-taken by an ARB registered architect or practice. Maven Capital Partners (“Maven”) and IP Investment Management (“IPIM”) have continued their penetration into the UK student housing sector with their latest development, the construction of Stirling’s first purpose built student accommodation (PBSA). Maven will act as the asset manager representing Hong Kong based IPIM to deliver the £18.2m project in conjunction with development manager Whiteburn Projects Limited and senior debt finance from The Royal Bank of Scotland. The 207-bed facility will be located on the banks of the River Forth next to Stirling City Centre, Scotland, and within easy commute of the out-of-town campus of the University of Stirling. The site is located only 250m from the main railway station and sits on the dedicated bus route to/from the university campus, which runs up to 19 buses per hour. Forthside Way will become the first PBSA in Stirling, and will help address the acute shortage in accommodation for the substantial student population of circa 10,000. Construction is due to commence in early 2018, with the complex due to be open in time for the start of the 2019/20 academic year. Maven Capital Partners UK LLP (Maven) is an independent private equity and property manager, focused on the provision of growth capital and mezzanine finance to SMEs across the UK, as well as funding a range of attractive property investments. Headquartered in Glasgow, and with nine other offices throughout the UK, Maven manages over £415 million of assets for a variety of client funds, including Venture Capital Trusts, a range of government-back regional debt and equity funds, and Maven Investor Partners – a syndicate of institutional, family office and high net worth investors. Maven has developed a track record in the hotel, student accommodation and office space sectors, sourcing and structuring transactions with a gross development value of up to £30m. With a hands-on proactive portfolio management approach, Maven works closely with property developers to add value and maximise investor returns and also provides a fully integrated back-office support function to client and third party fund managers. •	2015 – 333 Bath Street: £5.5m development of a 70-bed PBSA in Glasgow. IP Investment Management is a Hong Kong based boutique real estate investment manager focused on delivering returns for investors through its value-add and opportunistic private equity real estate funds. The Company sources investments in developed markets including UK, Europe, US, Australia with a strong focus in student accommodation, PRS/multifamily, and hospitality. On 26 February 2018 HES will be opening its latest exhibition: Talking shops – A History of Scotland’s Shops. They will launch the exhibition with a one-day seminar that will examine the importance of traditional shopfronts and their conservation and maintenance. This seminar would be of interest to those working on the building heritage sector, such as conservation officers, planners, architects and those with an interest on the subject. 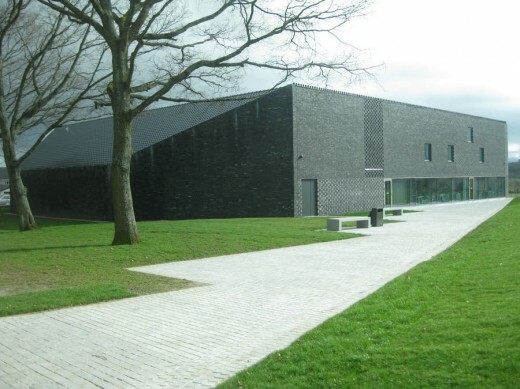 Images of Battle of Bannockburn Visitor Centre by Edinburgh architects Reiach and Hall. 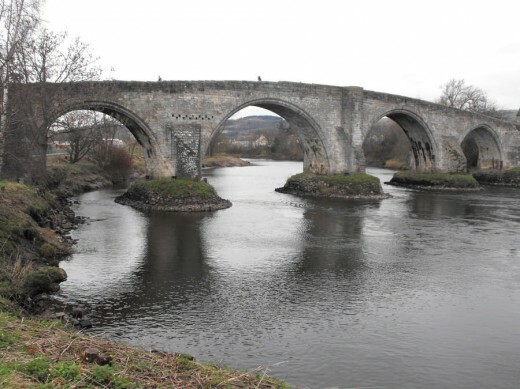 Stirling Auld Brig was the setting for William Wallace’s victory in the Battle of Stirling Bridge in 1297. The current structure apparently dates from 1415, comments welcome. 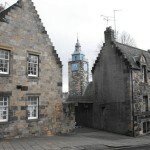 Situated – like Edinburgh Castle – on a volcanic outcrop in the centre of the city: a major Scottish building, primarily of historic rather than architectural note. This building represents a major and confident insertion into a historic building that is all too rare in Scotland. The arts centre is located just east downhill from the castle and church buildings. 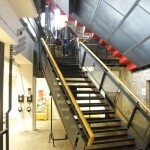 The campus was designed in the 1960s by the Scottish architectural practice Robert Matthew Johnson Marshall (RMJM). The low-rise buildings are Modern in style with plenty of grey rough textured pre-cast concrete panels. This is a medieval church in the heart of the city, at the north end of the High Street. Most of the building is Gothic in style, from the 13th century. The lower half of the tower (on the south side, roughly in the middle) dates from the 11th century with an upper part added in the 15th century. It was originally free-standing. The building was restored by Edinbugrh architect Rowand Anderson in 1889-93. The Dublane Museum opposite the entrance is also worth a visit. This is a tower built in 1869 located just north of Stirling on the summit of Abbey Craig. Design in the Gothic Revival architecture style it commemorates Sir William Wallace, the 13th century Scottish hero. 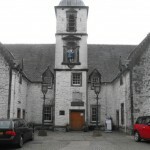 Argyll’s Lodging is a 17th-century town-house in the Renaissance style, situated below Stirling Castle. 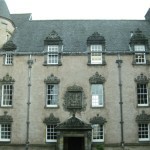 It was a residence of the Earl of Stirling and later the Earls of Argyll. The Romans built a Fort on Stirling Castle rock: this building was replaced by a new castle commissioned by the King Alexander I, who died at the Castle in 1124. Administrative headquarters of Stirling Council. Construction consortium unveiled for £120m regeneration of a deprived part of Stirling.